In 2016, I learned about the death of an old friend by reading a post on Facebook. By the time I saw it, my friend’s page had become a memorial. Dozens of people had posted heartfelt messages and photos of happy times, before disease had settled in her bones. I hadn’t talked to my friend in many years: Careers, family and living in different parts of the country had put distance between us, as often happens in life. In the days that followed, I returned to her Facebook page numerous times to read beautiful tributes written by grieving family, friends and colleagues. I wondered how many people, like me, had found out about her passing because of a Facebook algorithm. The news was terrible, no matter the means or timing of delivery. But it did give me pause. Was social media the new norm for announcing deaths and memorializing loved ones? Was a virtual forum a healthy place to mourn and process grief? Once I had recovered from the shock of the news, I contemplated the best way to respond, if at all. Clicking a “like” button was out of the question – too strange. And writing a condolence on my deceased friend’s Facebook wall felt like an empty gesture. Most of my memories were of a friendship from long ago, when we were young college students. Facebook and other forms of social media make it possible to experience pain with others, well beyond the immediate circle of friends and family. Sharing stories about the deceased and messages of grief in a public forum can provide a sense of belonging, which may help in the grieving process. But not everyone is comfortable participating in that realm, or needs to be a part of an online grieving community. I decided to contact a mutual friend of ours to express my sadness. We exchanged numerous private messages and memories of our friend. She told me about a memorial event at a bar—a real-time setting among friends to mourn the loss of a wonderful woman. That felt right to me. 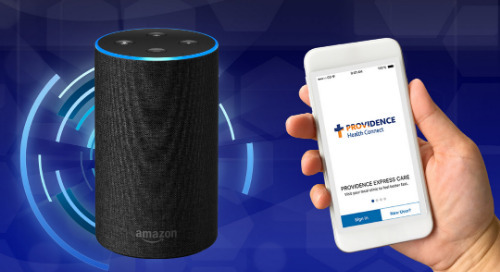 Mary Steers, Ph.D., a behavioral health provider at Providence Medical Group-Sunnyside, says sharing news of a death or details about the service on social media appears to be acceptable now. “Although I’ve found that older people tend to want more of the personal connection through emails and phone calls,” she says. Expressing grief, on the other hand, can elicit strong and varied reactions in people. Some people aren’t comfortable with it, while others relish the chance to express themselves. There aren’t social norms (yet) to guide online behavior, which means there’s the risk that a person will write something tone-deaf or inappropriate, such as, “She’s in a better place now.” To family or friends close to the deceased, this may not be the message they need or want to read. It may not even align with their beliefs. Some atheists, for example, don’t believe in an afterlife. “Expressions of grief vary depending on the nature of the relationship to the deceased,” says Dr. Steers. To this point, she suggests one should consider if they would feel comfortable saying in person to the family of the deceased what they write in a Facebook post. If not? “Don't write it,” she advises. Several months after my friend passed, I returned to her Facebook page, curious if people were still leaving messages. Her status hadn’t been updated; she still “lived” in the same city. It seemed strange. Had her family overlooked that detail on purpose? When the Facebook wall of a deceased person is memorialized, they continue “living” in a virtual world, allowing family and friends to maintain a relationship of sorts. Recent studies examining the effect online memorial pages have on the living reveal that they often help people cope with loss. “Turning toward an individual’s pre-existing profile provides the bereaved with a tangible representation of the deceased, making interaction feel more commonplace,” wrote researchers from Oklahoma State University. Dr. Steers says she doesn’t believe in telling people how to grieve – there isn’t a right or wrong way. But she encourages her patients who are dealing with grief to reach out to friends, family, a chaplain or support groups, and not rely entirely on social media as an outlet. Although she recommends attending a support group in person, an online group can help as well. “I would be concerned if social media is the only place someone is looking for support,” she says. Other things the bereaved can do to process grief include journaling or creating a memorial scrapbook with photos and memorabilia of the deceased. Dr. Steers also recommends “The Grief Recovery Handbook” by John W. James and Russell Friedman. Although grieving is a part of life, it can be difficult to navigate alone. If you need help in your grieving process, seek support from others. Providence behavioral health specialists are here to help. You can find one in our multistate directory by clicking here.